Raise your hand if you’ve ever been told this line – perhaps by your well-meaning mum, dad or a friend – and rolled your eyes. All of us? I thought as much. 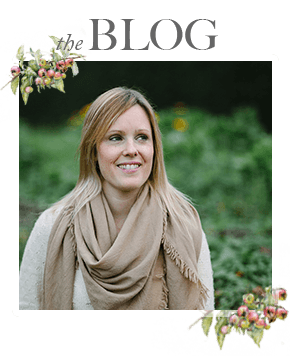 The uncomfortable truth is it’s difficult to develop an unshakeable faith that just being yourself is going to be enough, particularly in the early days of starting a creative business like a wedding photography brand. We’ve spoken here on the blog before about the dangers of inspiration overload; how in this age of 24/7 social media we can lose hours to the seduction of other people’s work. Hours that could, quite frankly, be better spent honing your skills or building an aesthetic foundation on which to build your photography business. Inspiration is a wonderful thing, and I’m not criticising it per se. What I do take issue with, however, is choosing the path of least resistance – that is, the fledgling photographer who studiously researches all of the latest trends and ‘celebrities’ of the wedding photography world and sets out to imitate every single pose, edit and caption. Frankly, it’s predictable, it’s boring and – worst of all – it’s easy. Anyone could do it. And if anyone could do it, why should a couple put you at the top of their wedding photographer shortlist? OK, so let’s really think about this. What were your real reasons for wanting to become a wedding photographer? Maybe you’ve gone into wedding photography because you love artistry. You get a kick out of details and capturing fleeting moments or you love people – real people. You adore stories – love stories and sad stories and happily-ever-after-after-a-few-hitches stories. You like it when people smile and their nose scrunches up and they get creases in the corners of their eyes. Whatever it is, you have your reasons. You have your preferences and your own style. You have things that make you unmistakably you. It’s there. The longer you look exclusively to others for inspiration, the longer you delay the discovery of what makes you unique. And the inevitable knock-on effect of that is that you’re preventing couples who would LOVE you to photograph them – and, just as importantly, couples YOU would love to photograph – from finding you. Discovering your niche – the thing that makes you you as a wedding photographer – is vital. Plus, it doesn’t have to be a super-specific niche like ‘destination weddings’ or ‘festival/boho weddings’. It doesn’t even need to necessarily be about the theme or styling of the wedding. For example for me, my niche is a little more abstract – but it works. You see, I consistently attract a certain type of bride: someone who is very much like me. I can’t really explain it, but somewhere along the line I gave myself permission to be fully myself. To have confidence in my skills, my work and what I can offer couples. I’ve allowed my personality and approach to weddings and life to be seen in my photographs. And couples – and the brides who seek me out in particular – can see it. They’re attracted to what I do. Shooting weddings is always a pleasure, never a chore. But shooting the wedding of a couple you really feel you’ve made a connection with? Who you respect? Who you can have a laugh with? That’s just magical. So please, I beg you – stop trying to be someone else. In the words of your well-meaning mum (or dad! ), just be yourself. Because being unique brings great personal rewards, but also professional ones, i.e. finding your own permanent place in this ever-changing industry.